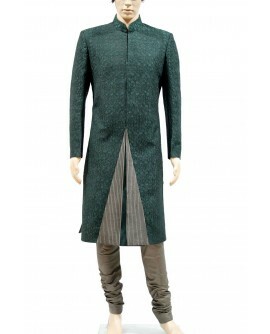 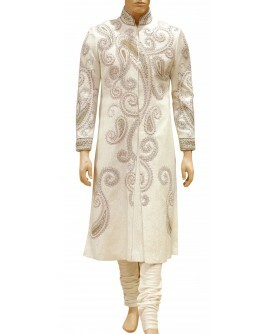 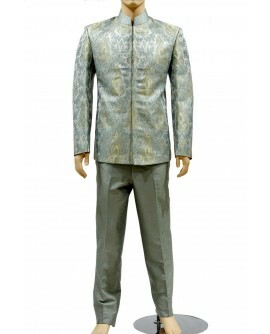 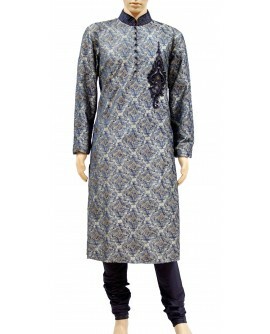 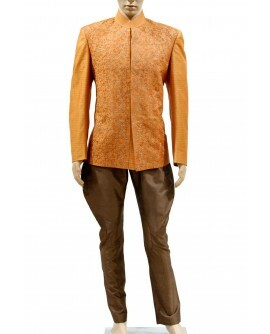 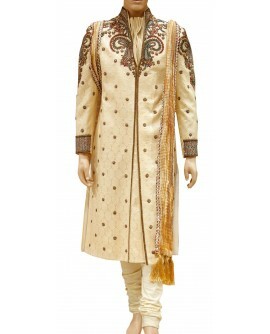 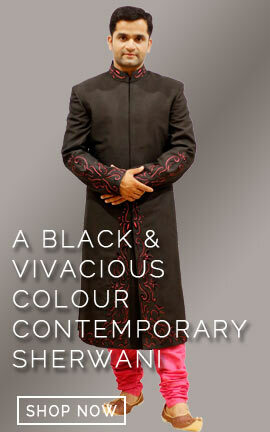 his traditional sherwani is planned on brocade with golden beige color churidar is very well complimented on it. 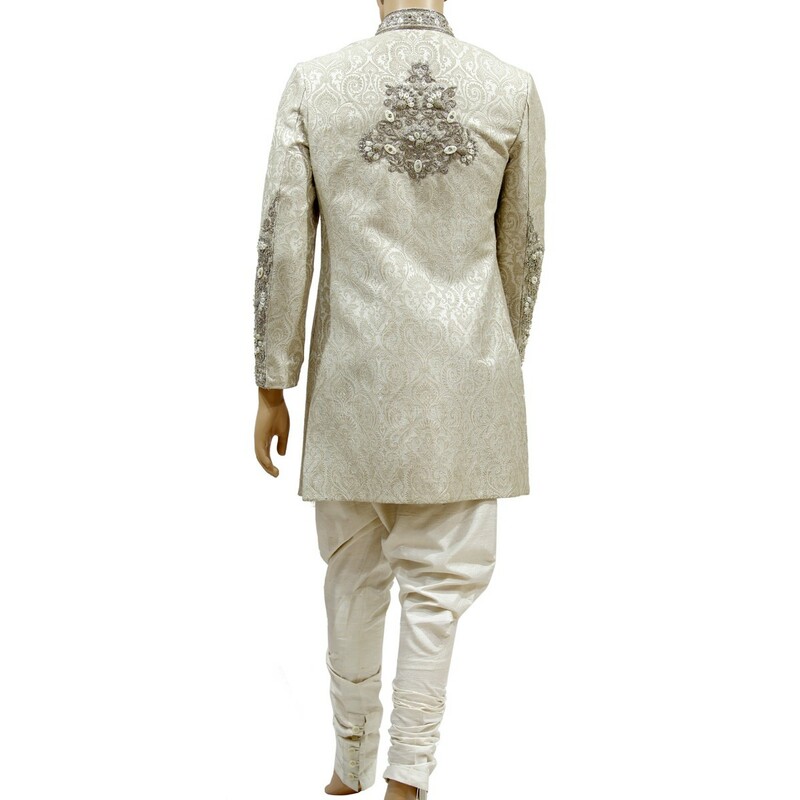 High neck collar, upper front panel, sleeves and cuffs are decorated with jari, resham, kundan and daimentes work is absolutely amazing. 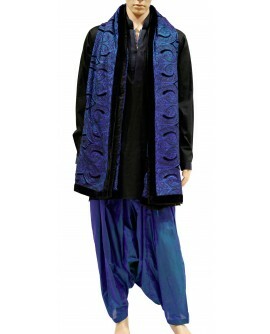 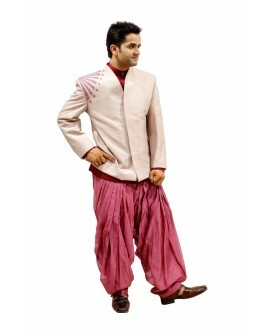 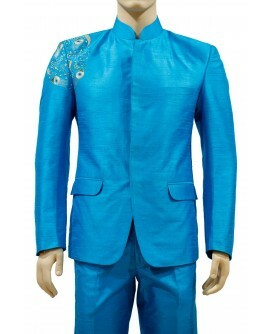 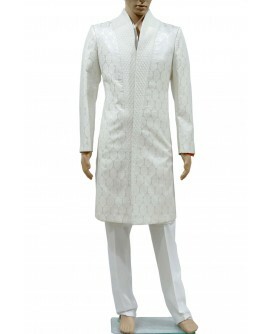 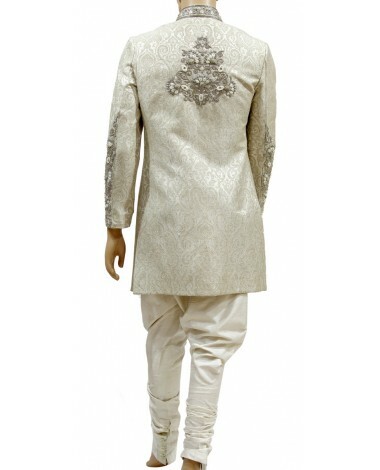 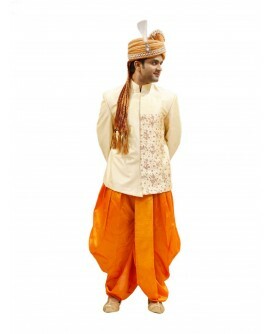 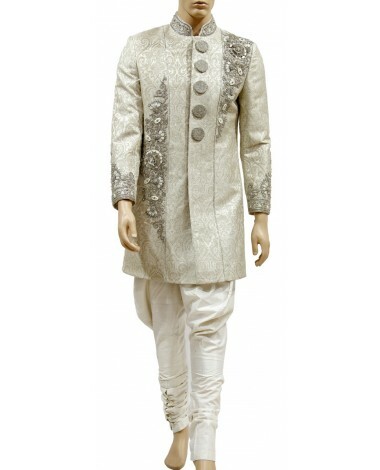 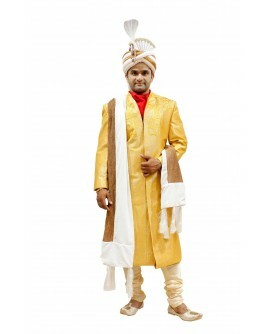 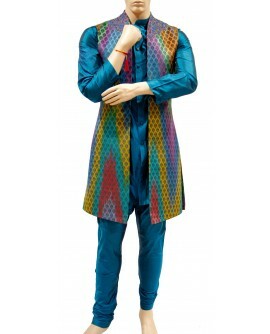 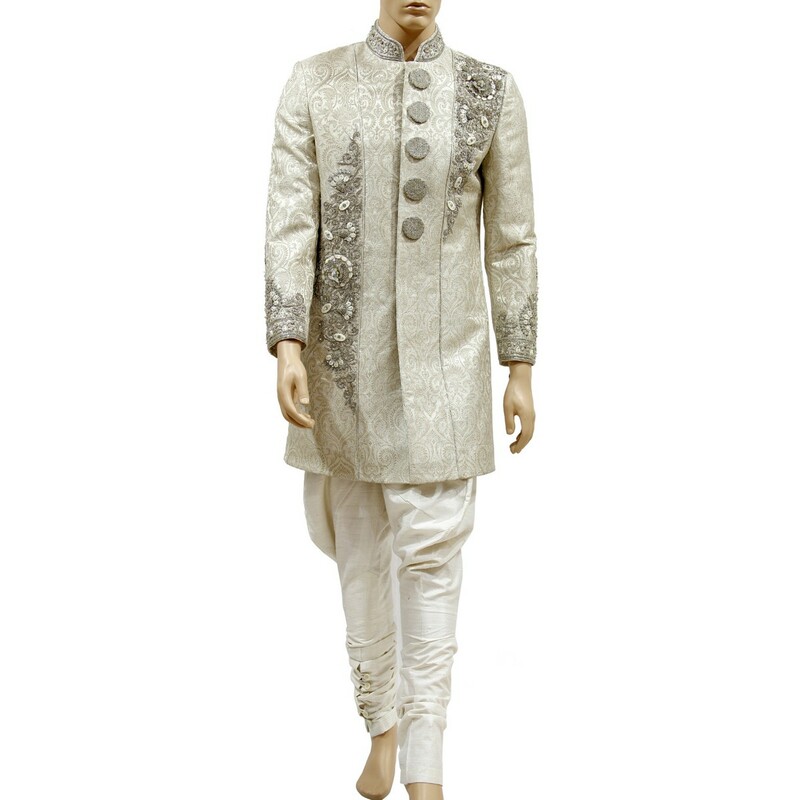 This traditional sherwani is planned on brocade with golden beige color churidar is very well complimented on it. 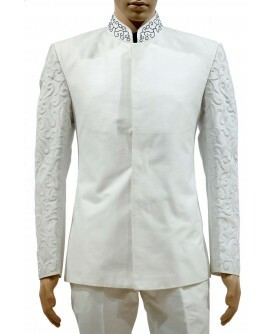 High neck collar, upper front panel, sleeves and cuffs are decorated with jari, resham, kundan and daimentes work is absolutely amazing. 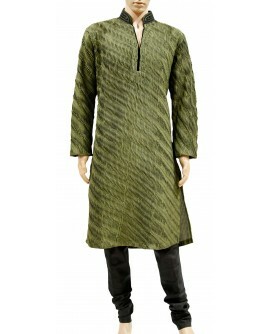 Front bottons are make it exequite.